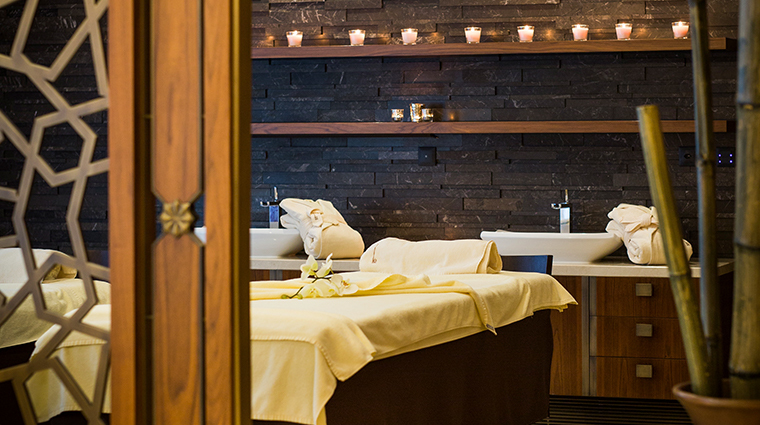 You’d never know it from the outside, but a palatial oasis is tucked away on the third floor of Grand Hotel Kempinski Geneva — Le Spa Valmont is a 15,000-square-foot wellness retreat that sits on the banks of beautiful Lake Geneva. 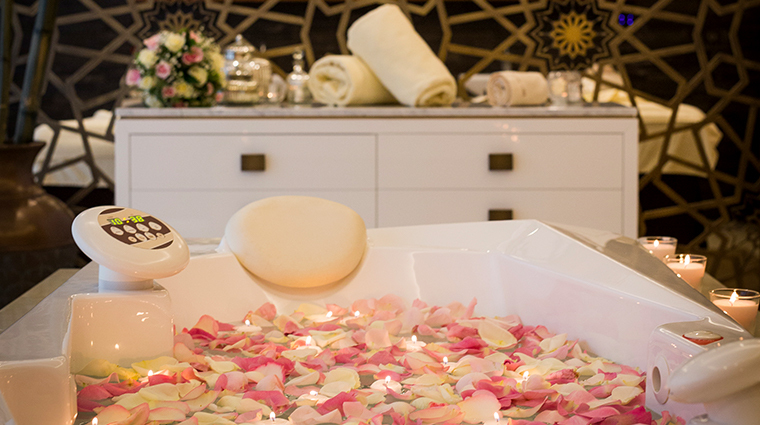 Inside, you’ll find 12 treatment rooms, a hammam with three rooms, a tranquil relaxation room, a large indoor pool and fitness center. While the charms of the city may beckon, this retreat is worth a visit, too. 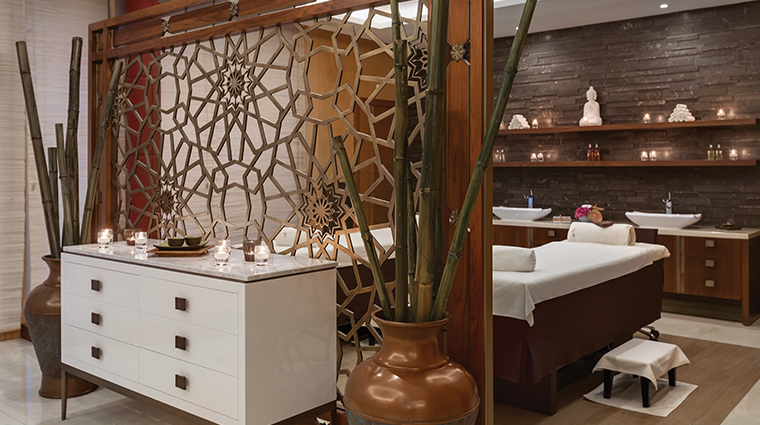 The Geneva spa is blanketed in tones of beige and white, dark wood and subtle Asian accents. 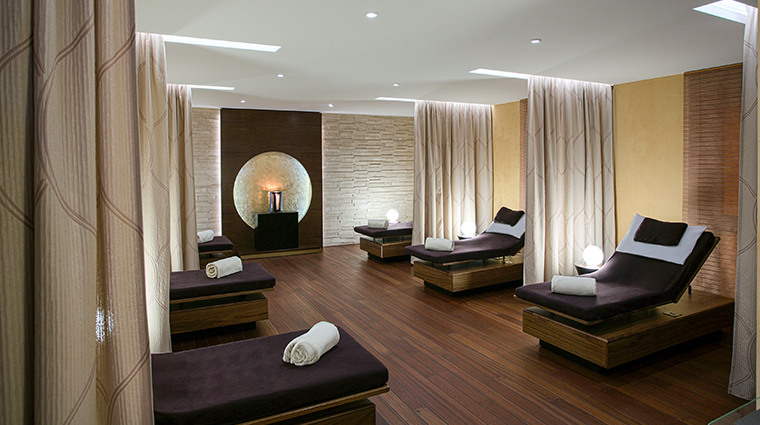 And while it is a quiet space, Le Spa feels accessible and comfortable rather than the often dark and moody spa spaces within hotels. The relaxation room has seven reclining beds divided by curtains for before or after your treatment. You may order room service here, however most guests utilize the digestive tea, which rotates daily, or have fruit from a limited selection. 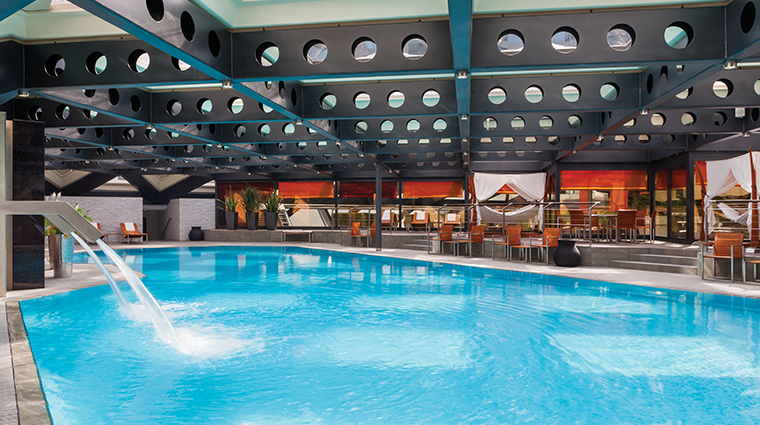 Step into a small foot bath then up a few steps to a heated 65.6-foot pool, which the spa staff will happily tell you, is the largest private indoor pool in Geneva. The indoor pool space is bright and open, punctuated by a line of teak furniture that surrounds the water. It makes it feel almost tropical in spite of being tucked into a hotel. 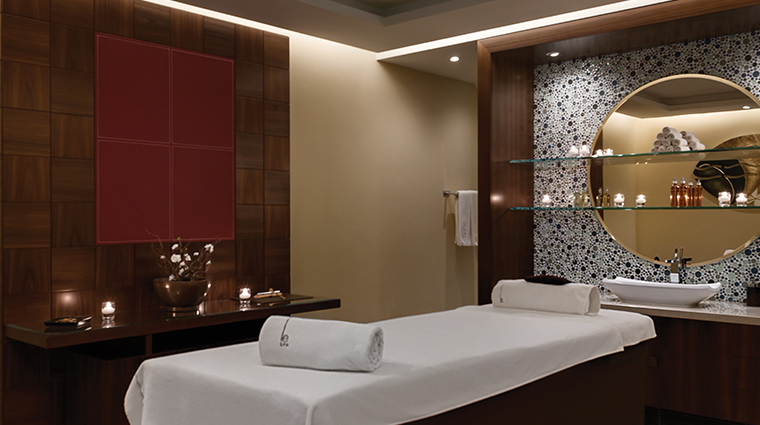 Kempinski offers Pilates and yoga classes inside a hardwood studio in addition to the well-equipped fitness center. 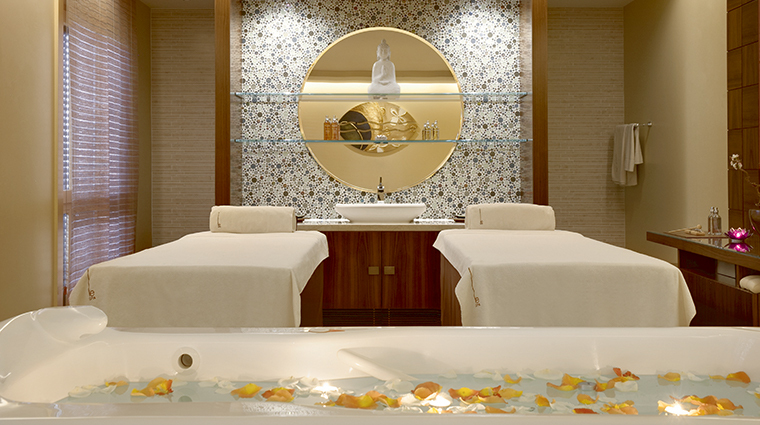 The services here feature Niance Swiss products and Cinq Mondes botanical spa items and rituals originating from Paris. Expect classic treatments here, expertly performed. The luxury spa also offers a large (and quite popular) gentlemen’s menu. Treatments run the gamut here and include Ayurveda, Balinese and Thai massage, as well a hydrotherapy massage, body wraps and scrubs, plus an array of facials. We’re partial to the Polish & Swathe, a full-body scrub followed by a Hungarian mud body wrap, neck and head massage — it refreshes skin and aids with stress relief. Niance facials include treatments that brighten, increase firmness and smooth out lines. Quick and effective express treatments will get you in and out in 30 minutes. 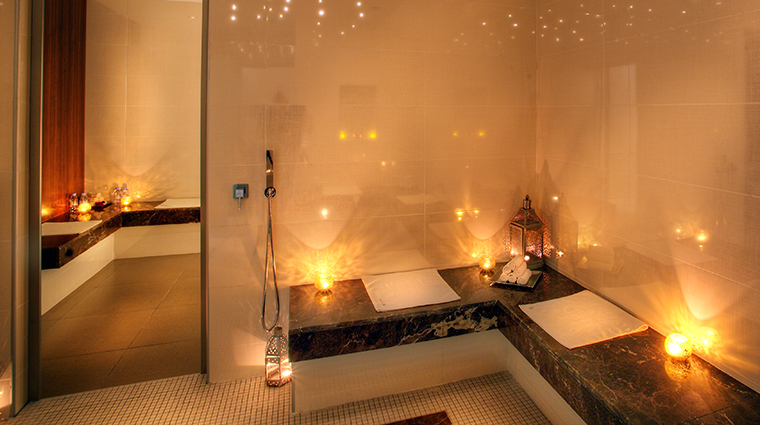 There are both single and double treatment rooms, including an impressive VIP suite. This meditative Asian-inspired hideaway has two treatment tables, a private shower, sauna, whirlpool tub and outdoor terrace. Fitness is not an afterthought here. There are aqua bikes for underwater biking and a separate steam room and sauna. The well-equipped fitness center does have personal trainers on hand plus two dozen machines and free weights. The 820-square-foot hardwood space feels roomy and allows generous space between the machines.